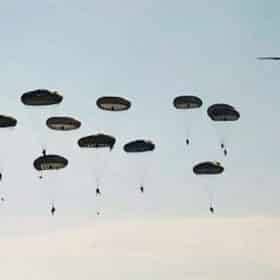 The Parachute Regiment is a formidable force and the soldiers are so highly trained, committed and dedicated, only a select few get the chance to join. 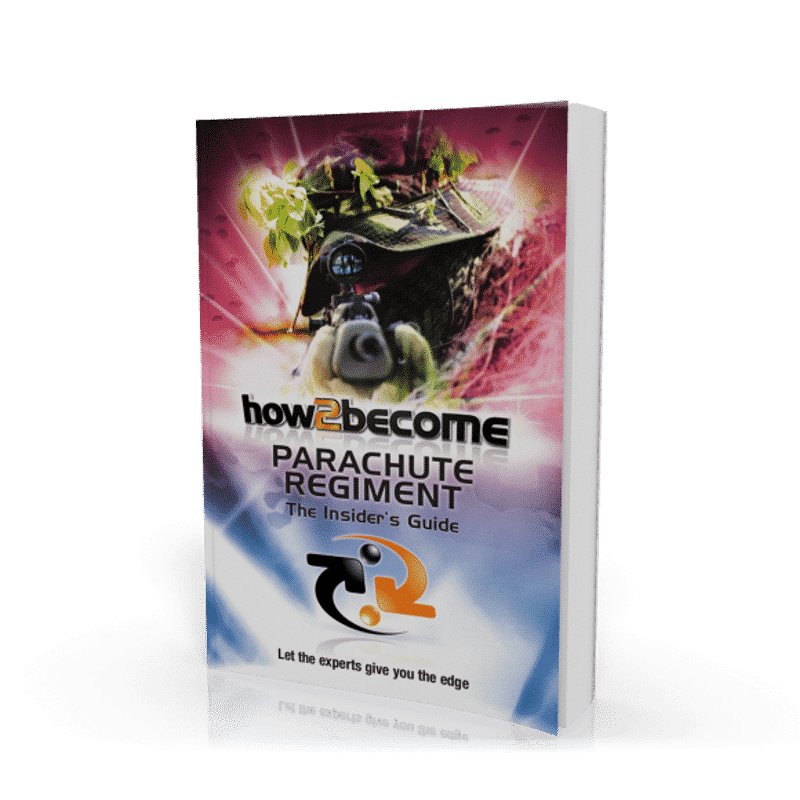 Within this professional 190-page ‘How To Join The Parachute Regiment’ book is all the information you need to help you pass the Para’s selection process including interview questions and sample responses. We have also included an entire section dedicated to showing you how to pass the British Army Recruit Battery Test (BARB). To begin with, those people who wish to join the Parachute Regiment are required to undertake an initial interview at the Armed Forces Careers Office. The interview will assess whether you have the potential to undergo Para training. It will assess your personal circumstances, your fitness levels and your desire to join. You will also be required to undergo the BARB test which is short for the British Army Recruit Battery test. The test is usually carried out on a computer and will consist of tests such as select the odd one out, the distant numbers test, a reasoning test and a symbol rotation test. Once you have successfully passed the initial interview and the Army BARB test you will then be required to undertake the RSC. A full and comprehensive medical by an Army doctor. Basic physical and fitness tests. Interviews with assessors from the Officer Corp who can determine your suitability for joining the Parachute Regiment. The Army Recruit Selection Centre will usually last for just 24 hours and takes place at an Army Training Regiment (ATR) establishment. Once you have successfully passed the RSC you will then move on to the PRAC. 15 sit-ups on a bench angled at 45 degrees. 10 dips on the parallel bar. 10 underarm heaves to the bar. If you want to join the Parachute Regiment then our comprehensive guide covers every element of the selection process. 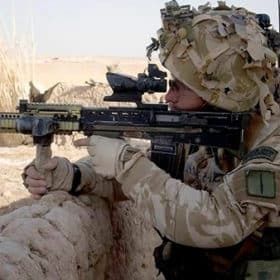 There’s no two ways about it, the Parachute Regiment is a formidable force and the soldiers are so highly trained, committed and dedicated, only a select few get the chance to join. We will show you how to prepare effectively in order to increase your chances of joining the Parachute Regiment. 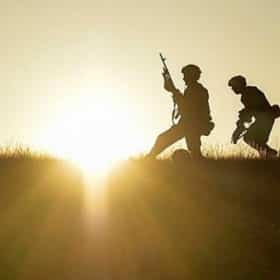 From actual Para interview questions through to BARB test prep this is the complete guide to joining the Parachute Regiment. During our research we have even managed to obtain a copy of the Parachute Regiment interview marking sheet and it’s all contained within your guide! Top insider tips to assist you. How to create the right impression when applying to join the Parachute Regiment. Additional practice test questions to help you. PLUS MANY MORE PAGES OF ESSENTIAL INFORMATION! 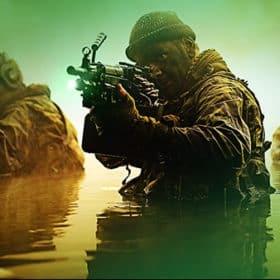 When you order the 190-page insider’s guide, we will send you an in-depth guide on how to get as fit as the British Army Parachute Regiment Soldier. We have included essential tips and advice on how to prepare for, and pass, the Para-physical tests. Within the information guide there are exercises for everyone and you don’t have to attend a gym to take part. Please note – The ‘How to Get Para Fit’ guide will be sent to you via email immediately after your order is placed. 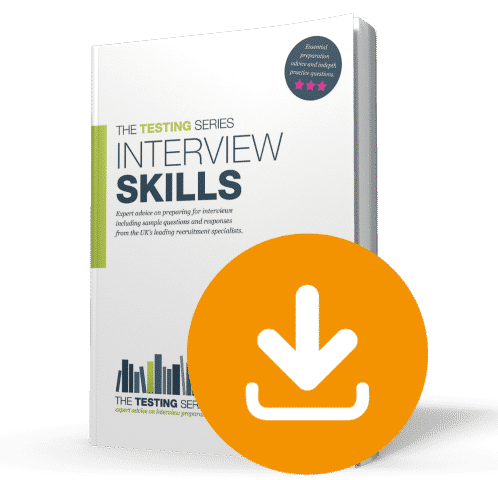 FOR A LIMITED PERIOD ONLY we are able to give you our awesome 150-page ‘Interview Skills’ guide free of charge when you order the 190-page book. This guide has been written by a former serving member of the Armed Forces with over 17 years experience at successfully passing job interviews. The guide will be sent to you via email within a few seconds of your order being placed. 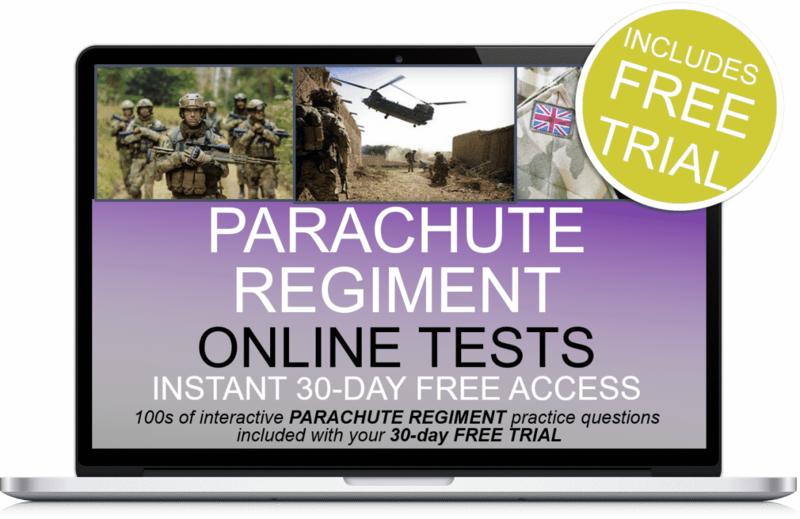 You will receive FREE 30-days access to our fantastic Online Parachute Regiment Testing Suite when you purchase your copy of our powerful Paratrooper guide. The tests are VERY SIMILAR to the actual test you will have to undertake during the selection process. How to Join the Special Air Service.